I never was a “huge” fan of The Mortal Instruments. I liked it, sure, but I didn’t love it as much as other people seemed to love it. 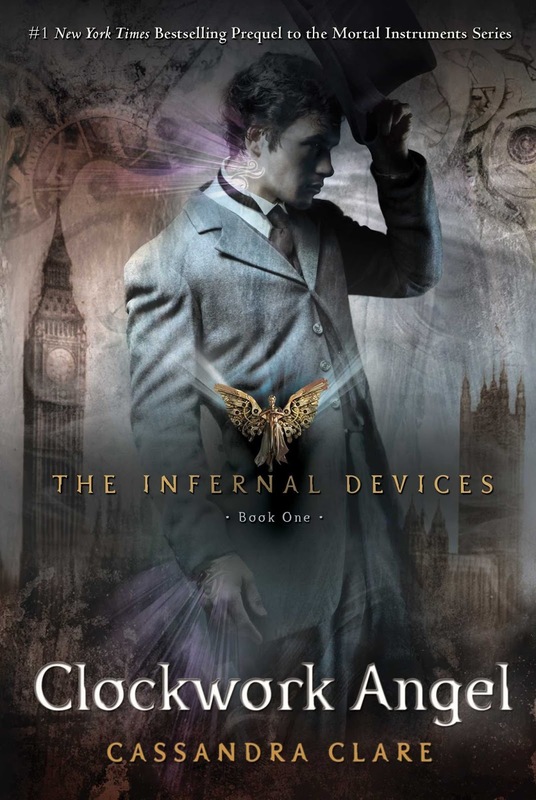 So everyone kept telling me to please try The Infernal Devices because they found that series a lot better. Now that I’ve finally read the first one, I’ve decided that these books are – in my opinion - not better. But… they’re also not worse. I definitely enjoyed this book! It’s just a real pity that Clare doesn’t learn from her mistakes. Clockwork Angel starts out absolutely terrific. An orphaned girl, Tessa Gray, goes to Victorian England on her own to meet up with her brother and stay with him for a while. When she arrives there are two rather odd women waiting for her at the port. She goes with them and soon finds herself the main character in some sort of horror story. Everything was tense and captivating from the start and my expectations started rising immediately. I got really enthusiastic and was anxiously turning the pages to read more. I have to say I LOVE the shadowhunter world. Always have. And the story showed great potential. I was so ready to give this book all my love. I was ready to be proven wrong in my opinions on Cassandra Clare. But I wasn’t. Not from the moment Tessa arrived at the institute. As I was reading, people were asking me: team Will or team Jem? They were talking about Will Herondale and Jem/James Carstairs. Two boys living at the London institute and … well, I honestly don’t think I need to draw a picture. I’ve decided that (so far) I’m team neither. CAN CASSANDRA CLARE GET AN EMERGENCY COURSE ON HOW TO BUILD RELATIONSHIPS, PLEASE? She seems to have missed some absolutely CRUCIAL lessons in her previous one. (And has apparently not learned anything from writing The Mortal Instruments) There was no subtlety and no foundation. I can’t stand instalove, but even then it was so bloody obvious I wanted to gag. I’m sorry but the book lost an entire star on it. Tessa meets Will and two hours later they have a first almost-kiss moment in the library. That same night she goes into Jem’s room (IN THE BLOODY 19TH CENTURY) and feels she has some sort of connection with him. Ugh, I could get on hours about this but frankly, I didn’t like Tessa enough for her to deserve either of them. I did love both Will and Jem a lot. They’re both intriguing. Who do I like best? At this point probably Will because he has that certain edge that I simply can’t resist. I didn’t like Tessa too much. It’s not as if I hated her either, but a lot of times she was too immature, too young. And she was a walking contradiction. One time she would be completely shocked at the familiarity everyone used in the house, only to behave exactly the same way a couple of pages later. Or she would be convinced Sophie (the servant) was in love with someone and a chapter further along she goes like “Of course she is in love with (other person), how could I not have noticed?” UMMM, maybe because you’ve known the servant all but two weeks and maybe because it’s none of your business and it doesn’t make sense that you and the servant suddenly have these conversations at all???? Or she’d be real desperate about her brother but then when he’s right in front of her she’d suddenly have other priorities. Nah. Her reading passion annoyed me to death as well. I get it. Reading is great. But Tessa felt like a very pretentious reader and the book references felt mostly forced, terribly cliche, out of place and a weak attempt at (ancient?) pop culture. I do love that this book is set in a different century (and a great one at that), but Clare is waaaaay too loose with conventional/appropriate behaviour. She changes the rules as she sees fit and I think that’s a pity. Same goes for the language in the dialogue. She tries, sure, but it doesn’t feel entirely realistic and it was most definitely not consistent. Cleverness that comes too late is hardly cleverness at all. I feel like I have been ranting about my annoyances so much that I should repeat that it’s actually still a decent book. I LOVED THAT MAGNUS BANE AND CAMILLE WERE IN IT! So, to conclude. Yes, I liked the book. I’m definitely going to read the rest of the series – but I’m just not feeling Clare when it comes to relationships. And not just the romantic ones. All of them. She pushes her characters on each other way too fast. Maybe it will get better in the second book. Still hopeful! I understand what you mean. I started listening to the City of Bones audiobook this weekend and the character building is so weak. And don't get me started on the instalove, because I'm not feeling Clary and Jace at all. It's sort of funny, because I remember reading TMI years ago (the first three books anyway) and absolutely loving them, but now they just annoy me. 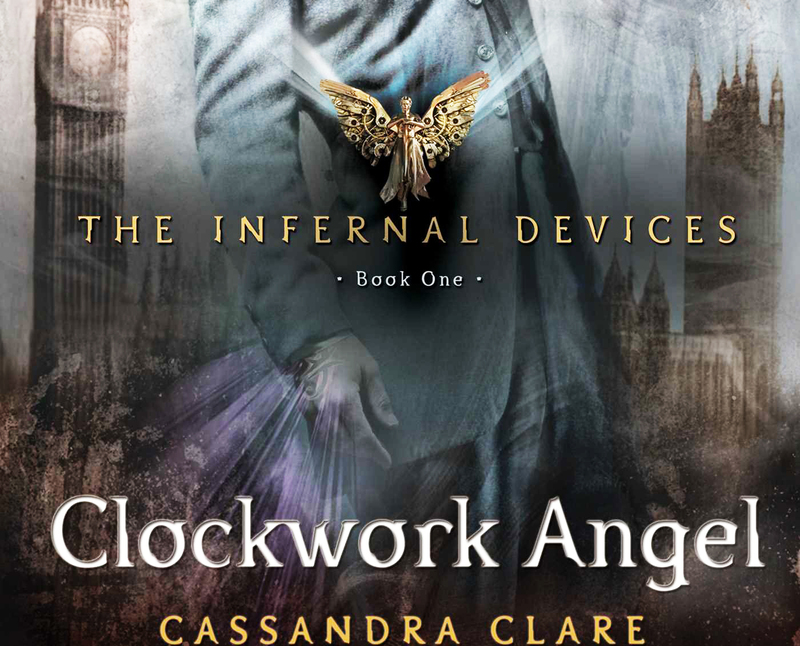 I also read Clockwork Angel, but I couldn't really care for it so I didn't even bother with the other books. It's a real pity though, because the story in itself has a lot of potential. I mean, a shadowhunter world.. How great is that? But the relationships ruin most of that. I did sort of ship Clary and Jace but not from book one. I don't know, maybe I'm just getting too old for this kind of romance. Or maybe Cassandra Clare should take a break, start properly planning out her characters and stop publishing a book every other month.